Many of the live courses include pre- and post-conference webinars to create a customized learning experience. The Florida event also includes wellness workshops and networking activities. 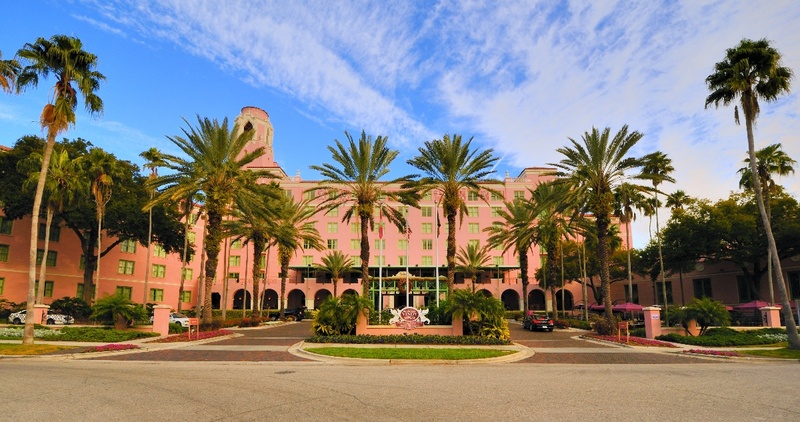 The American Association for Physician Leadership’s Winter Institute begins Thursday in St. Petersburg, where attendees likely will spend more time in class soaking up C-suite skills than the Florida sunshine. But for many of the physician leaders taking part, the learning began well before their arrival this week at the Vinoy Renaissance Resort and Golf Club. First the first time, some AAPL classroom courses incorporate webinars that attendees view before and after the institute as part of a “blended learning” experience. A preconference webinar allows the presenter to understand participants’ interests, allowing the live class to be tailored to attendees’ interests. The post-conference webinar provides follow-up interaction with the faculty member. What: American Association for Physician Leadership’s annual Winter Institute. When: Thursday through Sunday (Jan. 24-27). Where: Vinoy Renaissance Resort and Golf Club, 501 Fifth Ave. N.E., St. Petersburg, Florida. Offerings: Networking, CME-credit courses taught by seasoned faculty members, social events, career advising sessions. Panel discussion: Diversity and Inclusion in Health Care, 11:30 a.m. to 1 p.m. Friday, Grand Ballroom. 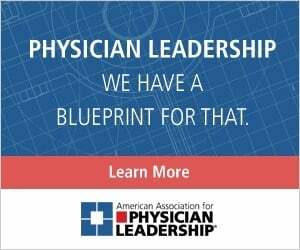 Information and daily schedule: physicianleaders.org/winter2019. Twitter: Share your favorite Institute moments using the hashtag #AAPLWinter. Weather forecast: Highs in the low to mid-60s and lows in the high 40s to around 50; breezy; after storms pass Thursday morning, expect clear skies through Saturday, showers possible Sunday. Spring: May 3-5, JW Marriott, Washington, D.C.
Fall: Oct. 23-30, Westin Kierland Resort & Spa, Scottsdale, Arizona. What: Winter culmination of Certified Physician Executive credentialing. Where: University of South Florida’s Center for Advanced Medical Learning and Simulation, Tampa, Florida. Reservations: Hilton Downtown Tampa, (813) 204-3000 (group rate expires Feb. 6). Upcoming CPE capstones: May 16-19, July 18-21 and Nov. 7-10 at the USF CAMLS facility. “It combines the ease of access from your home or the location of your choice, then you add to that the interaction with an expert and the time to digest,” says Cristina Naso, the association’s director of learning and performance. For the 2019 Winter Institute, the blended approach is being used for sessions on population health, finance, informatics, organization quality, and the skills needed by chief medical officers. The integrated format — combining an online component with live engagement — provides participants with the “best of both worlds,” Naso says. “You have that [webinar] recording that you can go back and rewatch, you have the time to digest and have it all make sense, and then when you’re in the live environment you get to network with other people that you have signed up for the course with, you get face-to-face access to that expert who’s the faculty [member]. Blended education has been well-received, she says. Institute curriculum provides CME credit and is designed for those working toward certifications, including Certified Physician Executive credentials. The Winter Institute also will include a three-day wellness academy with workshops facilitated by Daniel Friedland, MD; Dan Diamond, MD; and Mamta Gautam, MD, MBA, FRCP(C), CCPE, CPE. Gautam will focus on resiliency and burnout prevention for women physicians. Pamela Schwartz, DO, of Innovative Obstetrics and Gynecology in Lakeland, Florida. Marissa Levine, MD, professor of public health at the University of South Florida in Tampa. Larry D. Perkins, PhD, associate vice president of HR Talent and Diversity Organizations at the University of Texas MD Anderson Cancer Center in Austin. Peter Angood, MD, FRCS(C), FACS, MCCM, the CEO and president of AAPL. “Tips for Managing Your Online Reputation,” with Mary Hall, CEO of iHealthSpot, a digital marketer and web developer for medical practices. “Health Care Physician Statistics and Financial Burden Case Study,” with Scott Brennan, vice president of business development for Bankers Healthcare Group, which provides financing for health care professionals. “Total Asset Protections,” with Alison Zahran, senior insurance specialist with Physician Planning Services, an insurance provider for medical practitioners. On Saturday, hear from the five universities that accept AAPL prerequisite courses for physicians seeking master’s degrees with a medical management focus. Participants can earn CME while completing the degree prerequisites at their own pace. The universities are Carnegie Mellon University, University of Massachusetts at Amherst, University of Southern California, Thomas Jefferson University and Arizona State University. Networking: Get face-to-face interaction with peers and faculty at a reception scheduled for 5 p.m. Friday on the mezzanine level. At 4:45 p.m. Saturday, a reception for new members takes place. Fitness: There is a vinyasa yoga class from 6:15 to 6:45 a.m. Friday and an exercise class from 6:15 to 6:45 a.m. Saturday. Participants are asked to bring a mat or towel. At 5:15 p.m. Thursday and Friday, join the fitness instructors in the lobby for “walk and talk” around the Vinoy. Click here for details. In addition, guests should contact the hotel regarding use of its fitness center, lighted clay tennis courts and golf course. Vendors: Look for AAPL partners offering information and products in a variety of areas, including financial needs, career planning, personal education and the social media marketing of health care professionals. Student exhibit: On Saturday in the Grand Ballroom foyer, as part of AAPL’s collaboration with the University of South Florida College of Medicine’s SELECT program, students will present the results of their summer immersion projects through a series of posters. 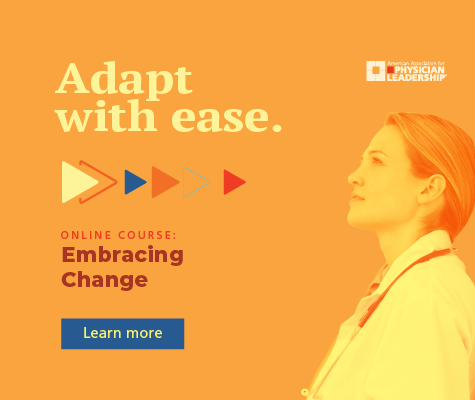 SELECT (scholarly excellence, leadership experiences, collaborative training) prepares medical students to be physician leaders who can accelerate change in health care. Each student chooses a project and works with a coach. The program offers a mentoring opportunity for physicians and a networking opportunity for students. Rick Mayer is a senior editor with the American Association for Physician Leadership.